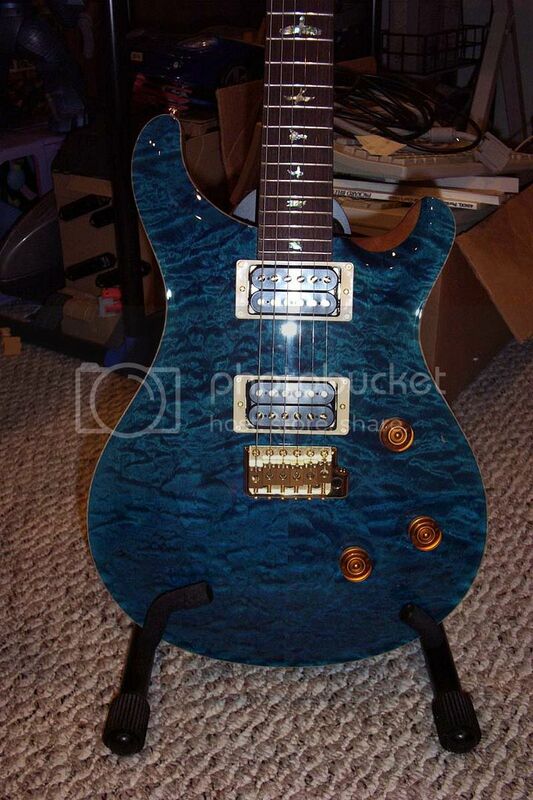 I've just never bonded with my 2004 Custom 24/ Blue Matteo/ Really tight Quilted Artist Package/ Standard Neck Carve. She weighs in at 7 lbs 14 oz. (According to a digital fishing scale). She's "as new" as they come. Others call her mint, but I don’t use that term. A solid 9.8-9.9 of 10. I have some gold/abalone knobs on her & will include original knobs, some gold pickup rings & all case candy in the special Presentation leather case. Never gigged & probably has less than 10 hours on her. I'm starting to get a stiffy for some other guitars & can't see having this & not playing it. 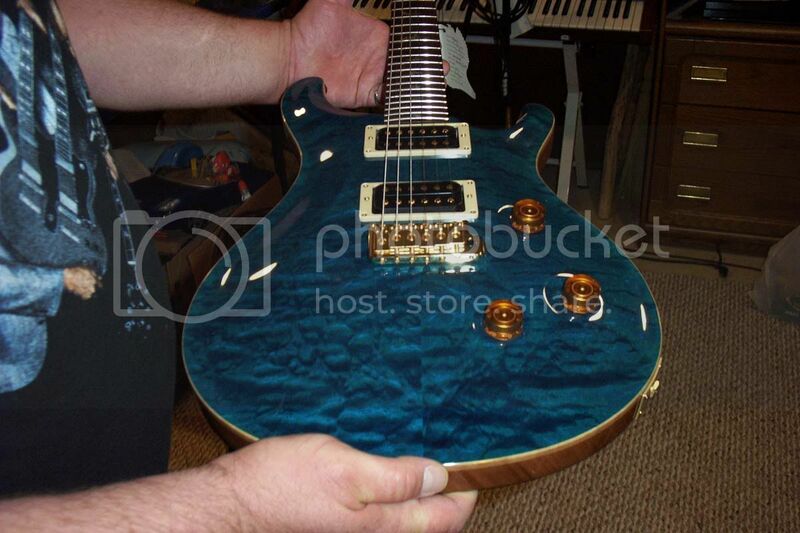 I ordered & bought her new myself, when the retail was about $4,880 with the quilt artist pack costing $1680. I’m thinking that by posting it on this & a couple other forums, thinking I might actually get a fair price for it I've attached some lousy pics to give you an idea just how pretty she is. I WILL consider trades & trades plus cash to me. I can’t afford to add any cash at this time. I’m particularly interested in a 513(Maple top or possibly a Swamp Ash), 408, even a CE or 2 plus cash or some other special PRS. Other brands will be considered, but I do have a taste for the unusual & the beautiful…yes, I can be shallow, hehe! Surprise me! You never know, but serious offers/questions only, OK? I’m not desperate & don’t need to sell. I’d just rather have something I’d use more. $2250 is the asking price & trade value. I have plenty of references too! The preferred contact method is email to : 1sleepingtiger@gmail.com . PMs will be answered, but email is faster! Just to clarify, I'm leaning towards another PRS, but all reasonable offers will be considered. Preferences are Korina, swamp ash or mahogany W/ maple body, double cutaway, nickel/chrome hardware, trem preferred, but you never know what will grab me! . PS – I LOVE KORINA & I’ve got a hankering for something purple!!! that sure is a looker. 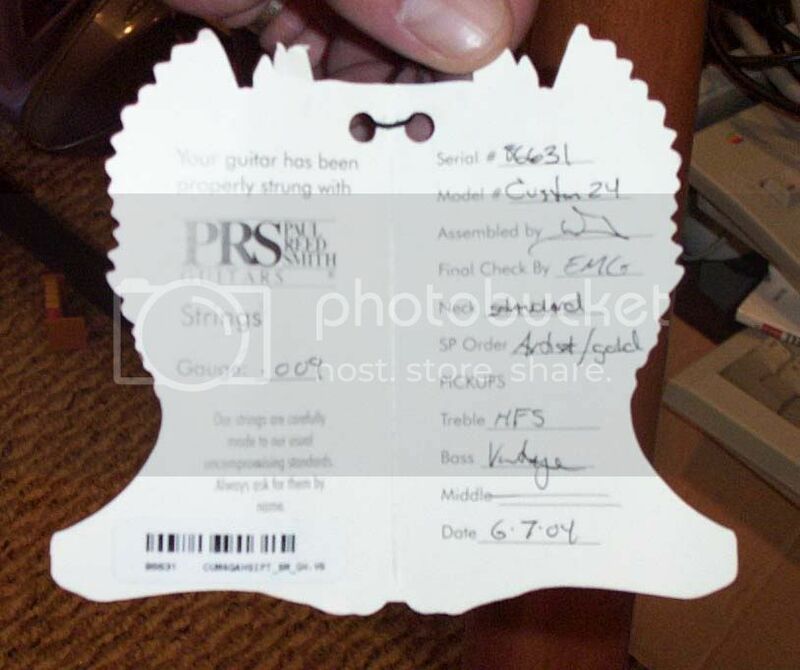 Too bad I could never bond with PRS. I hope you sold it by now. That could get a lot of dust collecting around here. Oh, it's long gone. I got a CE22 & an NF3 for it. I'm very happy & she has a new loving home. Tony, whatever happen to the firebird Forum? I miss that place. I have another member administrating it, as I simply don't have the time to do so. 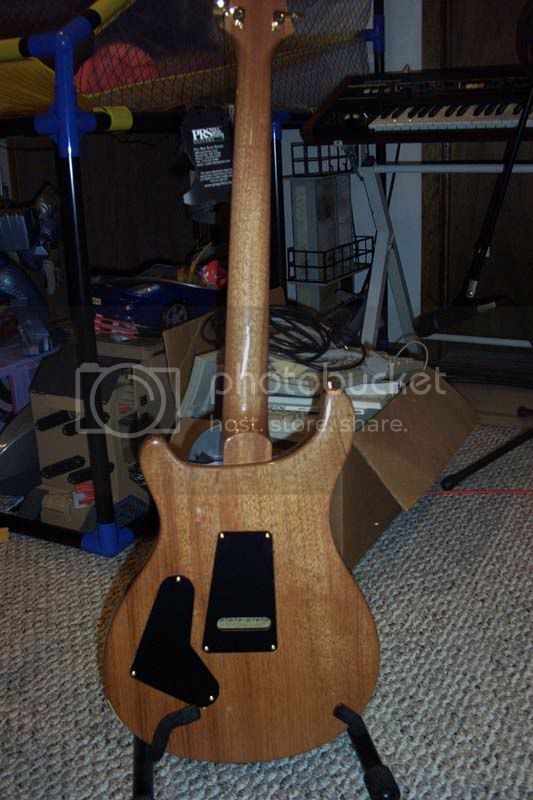 It has gotten kind of stale & turned into a "See my new Firebird" forum. I have gotten kind of tired of spending a night of joining threads only to say, "Nice Firebird! Welcome to the forum!" Hmm...hard to say, but my 3 Korina PRSi have been getting used a lot. The newest, an NF3 is kinda cool & different! great place Sehat Card Scheme for the guitar lovers. Last edited by AvaMahoney; 03-18-2019 at 06:00 AM.. I have another part administrating it, as I basically don't have space plan astute to do accordingly. It has gotten kind of stale and changed into a See my new Firebird dialog. I have gotten kind of tired of moving during a time of joining strings just to state, Decent Firebird! Welcome to the social affair!